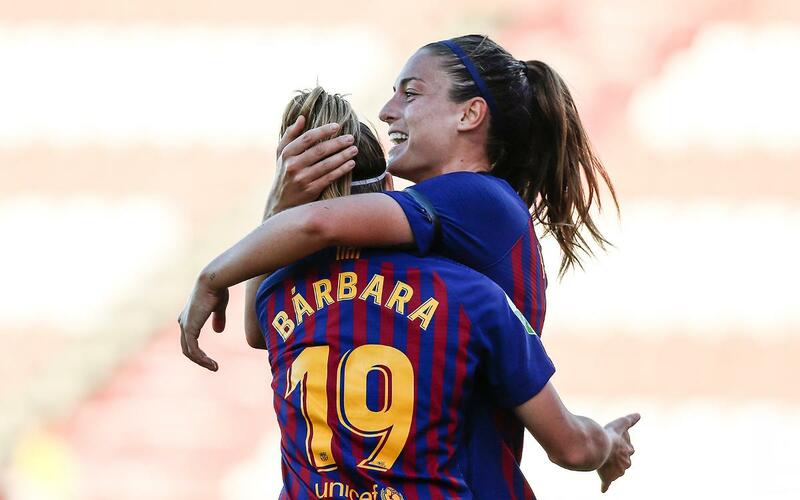 Alexia Putellas scored once in each half as FC Barcelona rolled to a 2-0 victory at Sevilla in First Division action on Wednesday afternoon. The matchday 12 victory puts the Catalanas in first place with 32 points, two ahead of second-place Atlético, who play at eighth-place Valencia on Thursday night. Barça had full control of the encounter from start to finish, and generated plenty of scoring chances, hitting the woodwork three times. Aitana hit the crossbar in the 7th minute, while Vicky Losada hit the post on a free kick in the 25th, and Mapi León did the same on a corner kick in the 64th. Meanwhile, Alexia filled out the score sheet all by herself. Her first goal came just after the half hour mark, nodding home a precision pass from Leila. Alexia's second came after the break, at the end of a quick counterattack and a cross by Bárbara. Barça's next match comes at home this Sunday versus Madrid CF. Sevilla: Noelia Ramos, Rocío, Lucía (Andrea, min 88), Marta, Olga, Jeni (Ana Franco, min 75), Amparito (Payne, min 65), Karen (Nagore, min 65), Maite, Teresa, Vicky. Barça: Paños, María León (Melanie Serrano, min 84), Losada, Marta Torrejón, Alexia (Andonova, min 85), Patri, Aitana (Candela Andújar, min 66), Leila, Duggan, Pereira, Bárbara (Andressa, min 73).